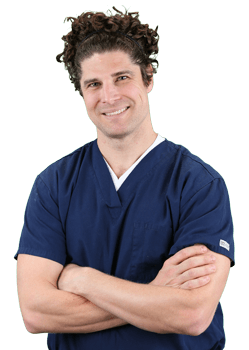 Dr. Huebner is a licensed medical doctor and hair transplant surgeon who graduated from the University of Pennsylvania in 1999 where he received a Bachelor's Degree in Biology. He was very engaged in researching and refining HIV vaccines. His undergraduate training prepared him for the Eastern Virginia Medical School in Norfolk, Virginia, where he earned a degree of Medical Doctor (MD) in 2003. Dr. Huebner then completed a 3-year residency in Emergency Medicine at Orlando Regional Medical Center in Orlando, FL. Over the next 7 years, Dr. Huebner worked as a full-time Emergency Medicine physician in several hospitals in South Florida and Fort Lauderdale. He has been a full-time staff member at Cleveland Clinic Florida in Weston, Florida for the past six years and continues to be involved in educating medical students and residents in various fields. Dr. Huebner is also the founder of DocStar Educational - a program that mentors and prepares emergency medicine physicians enabling them to pass their medical board exams. He is an Associate Professor at the medical schools of Florida Atlantic University and Florida International University, where he takes an active role in educating medical students. 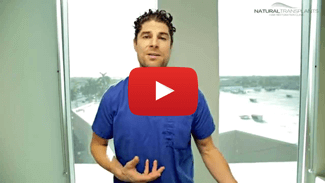 He has completed hair restoration procedures on numerous celebrities and prominent media figures. After his training and working independently, Dr. Huebner branched out to start — Natural Transplants, Hair Restoration Clinic — which opened in 2014. The clinic was designed to maximize the patient experience, while producing exceptional hair transplantation results. After starting the clinic Dr. Huebner developed the HUE (High-Yield Unit Extraction®) Method, our exclusive cutting edge procedure. He is located in beautiful Fort Lauderdale, Florida — just minutes from the beach, great restaurants and nightlife. In his spare time, Dr. Huebner enjoys playing and recording music, paddle boarding, playing soccer and being active in Fort Lauderdale. He also enjoys spending time with his son and his two rescue dogs.